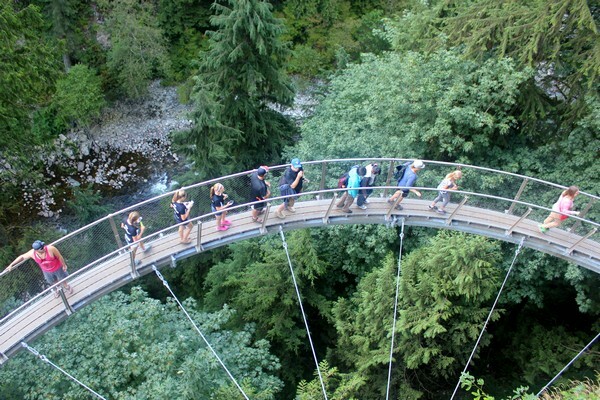 Located in North Vancouver, near the base of Grouse Mountain, the Capilano Suspension Bridge Park is one of Vancouver’s top tourist attractions. Over the years, the park has added several features to compliment its famous bouncing suspension bridge, including the recently built Cliffwalk experience. 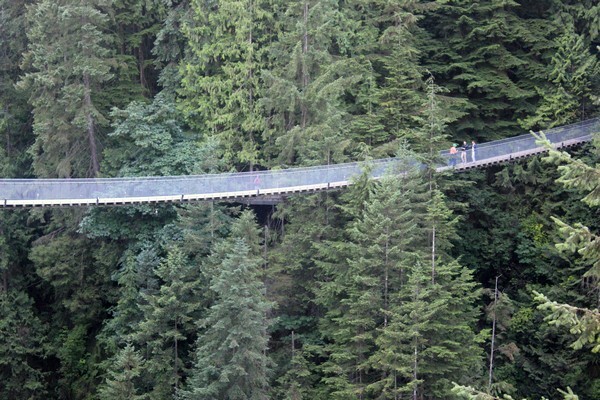 Similar to Heritage Park in Calgary, the Cliffwalk at Capilano Suspension Bridge Park is a member of the Canadian Signature Experiences, a collection of unique Canadian travel experiences established by the Canadian Tourism Commission. Even though we live within a 10 minute drive of the park, it’s been years since we last visited. 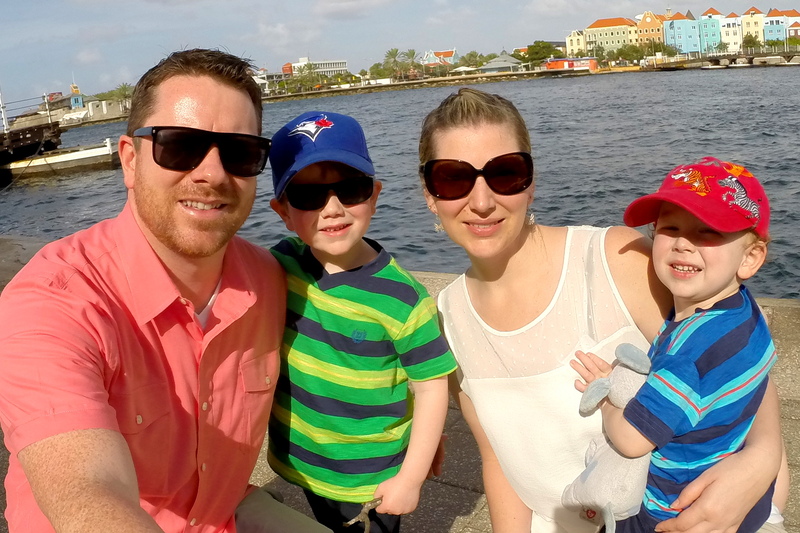 In an effort to ‘be a tourist in our hometown’ this year, we decided to check out the park’s newest addition and introduce Braydon to the suspension bridge. 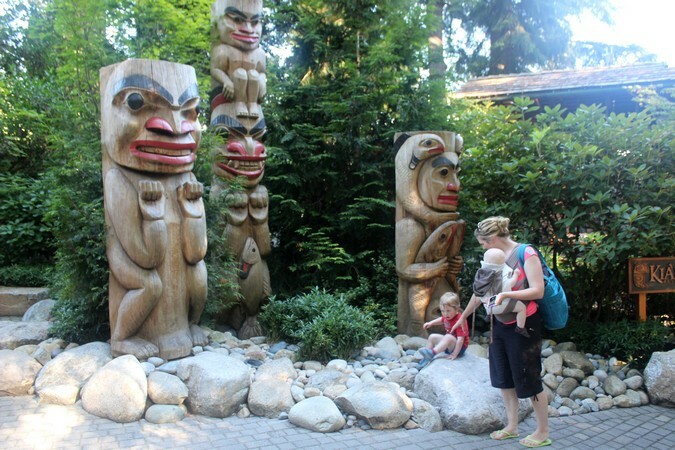 The park is loaded with beautiful native art and totem poles. 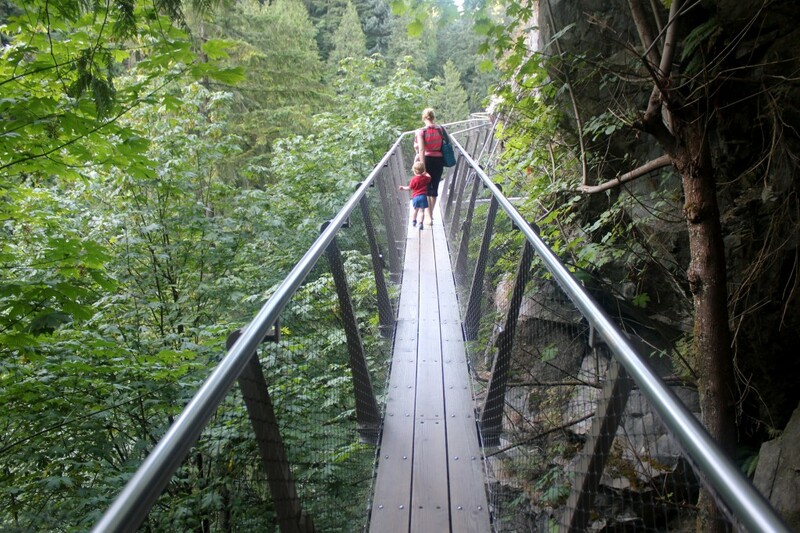 After crossing the bridge and exploring the park’s coastal temperate rainforest, we made our way to the Cliffwalk, a system of wooden walkways suspended alongside a glacier-carved granite cliff-face. The Cliffwalk has a pretty neat set-up. The main section, pictured above, leans over a steep canyon and gives you the feeling like your flying amongst the trees. It’s very safe, even for little ones, but you need to hold their hand throughout the walk. 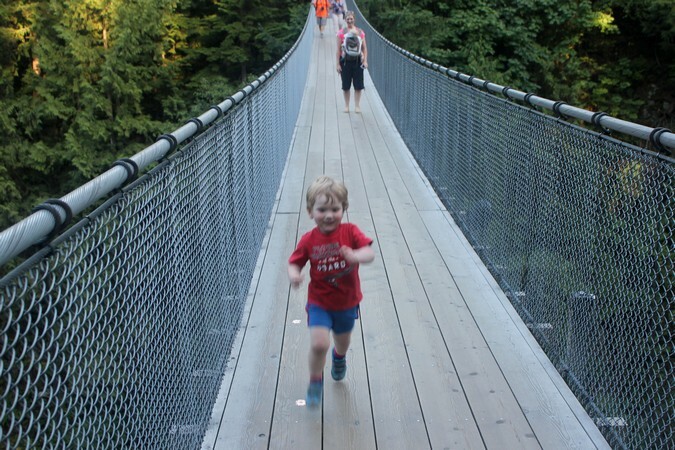 The Cliffwalk bridges are not very long, so most kids opt to do the walk multiple times, which is included in the price of admission to the park. 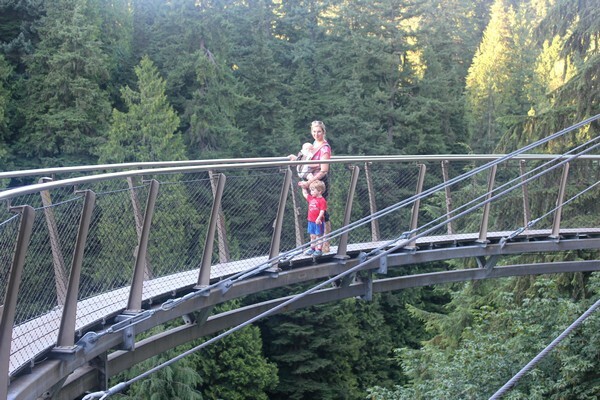 The Capilano Suspension Bridge Park is a great family friendly attraction for both tourists and locals. 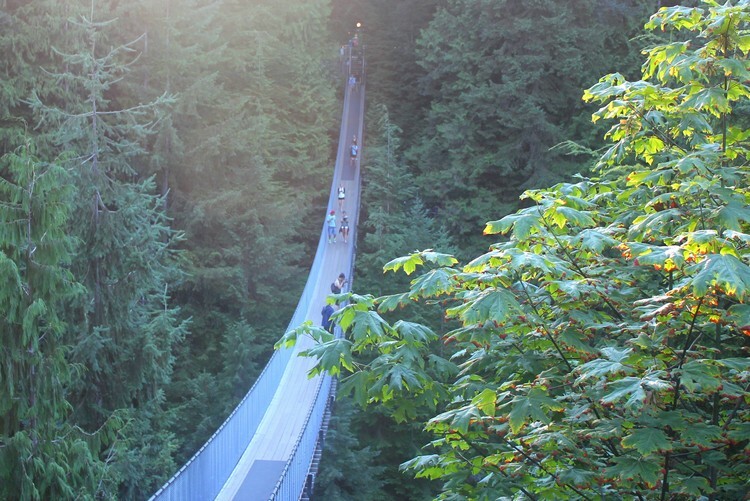 Aside from the bridge and cliffwalk, the park also offers the Treetops adventure, a series of seven suspension bridges attached to eight 30 ton, 250 year old Douglas-firs, and several boardwalks with viewpoints that overlook the canyon. 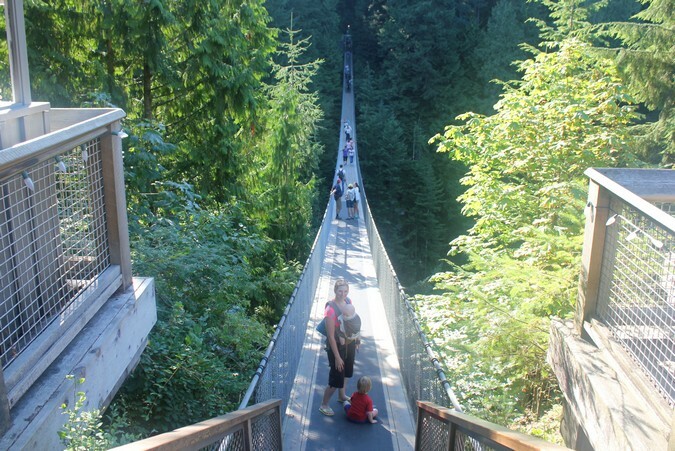 Have you visited the Capilano Suspension Bridge Park? 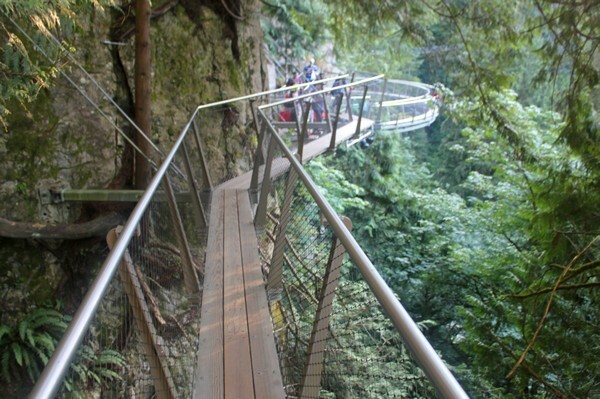 I’d love to try one of these suspension bridge walks. I wish we’d checked this out when we were in Vancouver a few weeks ago! Thank you 🙂 Sorry you missed it. You will have to come back! The pictures look amazing but with my fear of heights I’m not sure it would be as fun as it looks! When it sways, it’s a little scary. But it’s not as bad if you don’t look down. Lynn Canyon is great because it’s free. For sure, a great place to visit too!